European restaurant on South End. 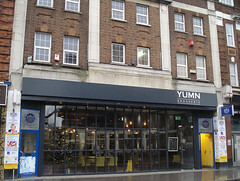 It opened in November 2014 in premises previously occupied by Wild Lemongrass buffet restaurant photo. Last edited 2019-02-07 15:05:16 (version 22; diff). List all versions. Page last edited 2019-02-07 15:05:16 (version 22).